Today’s gospel reading (Mark 2:1 – 12) requires serious reflection. What is easier to say the paralytic “your sins are forgiven,” or say, “rise, take up your pallet and walk?” If I was the interlocutor I would have an immediate dilemma: if I had to make either one or other of the statements contained in the question posed by Christ I would invariably say to the paralytic that his sins are forgiven. Why?, because were I say rise then I would be holding the afflicted person to ridicule or contempt. After all, no mere mortal can cure the affliction of a paralytic merely by the power of his word: can they? If I were the paralytic and someone said to me “rise” – and nothing happened – then I would have every right to feel aggrieved. There is nothing worse than false hope, false promise or false faith. These empty words would only serve to reinforce my human frailty. So, if someone were to give me a benediction namely that my sins would be forgiven I would accept that with far more grace than I would the word “rise”. But, what if by the power of the Word I was healed? Would I not be utterly transformed? Would I not believe in the one who healed me? Could I do other than believe that the person who healed me was God – for God is the only one can do the impossible. If I, as a direct result of my healing believed in the healer then could it not be said that my ability to exercise my free will in favour of belief had been compromised? In those circumstances surrounding my healing only a fool would say in his heart there is no God (Psalm 14:1 ) – and presumably, I am nobody’s fool. Real faith depends upon the acceptance of God as maker of heaven and earth totally, unconditionally and unquestionably. It depends upon the power to choose – and choice to be free must be reciprocated totally, unconditionally and unquestionably. Real faith cannot be coerced . It is only when we are utterly free that we can say that we are children of God and marvel at the question “what is man that you are mindful of him, and the son of man that you care for him?” (Psalm 8:4). During this Lenten period these are the questions we need to ponder. 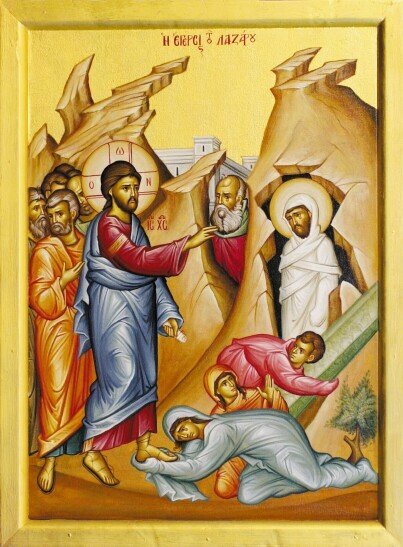 Saturday morning: matins in Greek with the divine liturgy in English from 9 AM. Adult education class continues (Tuesday, 26 March) topic: “How Did Christ to Read the Old Testament?” (Continued from last week)… From 6:45 PM – please bring your Bible. Our food/clothing store now has enough clothes –no clothes until further notice thank you – please not bring to church as we will not accept them. We are however running low on foodstuffs. We have our need the following pasta/sugar/tea/coffee/tinned fish/tinned fruit/ tinned vegetables (especially tomatoes) and tinned meat. Note we have more than enough baked beans. God made man and put him at the centre of creation. As such he is responsible for all creation. This means that whatever he does he should do with great forethought, compassion and in love. After all, that immortal part of us – our soul understands both good and evil as we partook of the tree of knowledge. Whatever choices we make will impact upon creation itself. PS: Do not forget Fr John presents the “Hour of Orthodoxy” in English each Thursday Live between 2pm and 3pm and repeated Tuesday from 5pm to 6 pm.